The CarbonGreen page is dedicated to personal stories by our members and friends about our great Irish American heritage. 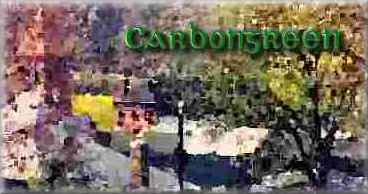 To submit a story, poem, photo, anecdote to the CarbonGreen page, send an e-mail, or contact Rob Lee. Virtually anything goes. Chris Hamilton, teen ambassador from Northern Ireland, continues to fulfill the relationship building goals of CFPNI by visiting students at the Carbon County Vo-Tech in Jim Thorpe. School reporter Jim Curry reports on Chris' visit. Click Here. Many Irish in Carbon County and the Coal Region trace their family roots to Donegal. Our Division member Ronald L. McGinley is actively involved in preserving the history of the Diocese of Raphoe and of old Donegal. Click on image for more information. An Orange bigot, reference to the days of "straws and cholera", WBA strikers, Mollies, Fenians, and Temperance politicians, all punctuate Father Kelly's farewell report on the state of his Irish Catholic parish founded where the rush for the black diamond all began, Summit Hill, Carbon County, PA. Thanks to Division historian Joe Dougherty for uncovering this gem. Click here to enter. AOH Brother Hugh McClafferty paints a tale of his colorful grandfather, Blue Pat Breslin. Soupers, a mine explosion, murder, Molly Maguires, and more in this great story of 19th Century Carbon County. Division President Noel Behan received this wonderful historic AOH photo with a request for any additional information about the gentlemen pictured. The woman in the photo wearing a banner with the Irish province of Munster is identified as Bridget Rogers Large, the great-grandmother of the correspondent. According to information submitted by her great-granddaughter, Bridget Rogers Large was born in Ireland in 1856 and died in Coaldale in 1948. She was married to Thomas Large. Thomas and their sons were coal miners. Their daughter Mary Large married Hugh "Shud" Gallagher in 1912. Gallagher was a former owner of the American Hotel in Mauch Chunk. The photo is undated, but it provides a rare insight into an AOH moment in time. Several of the men are carrying banners that say Coaldale. Two of these finely haberdashered gentlemen are carrying shillelaghs. 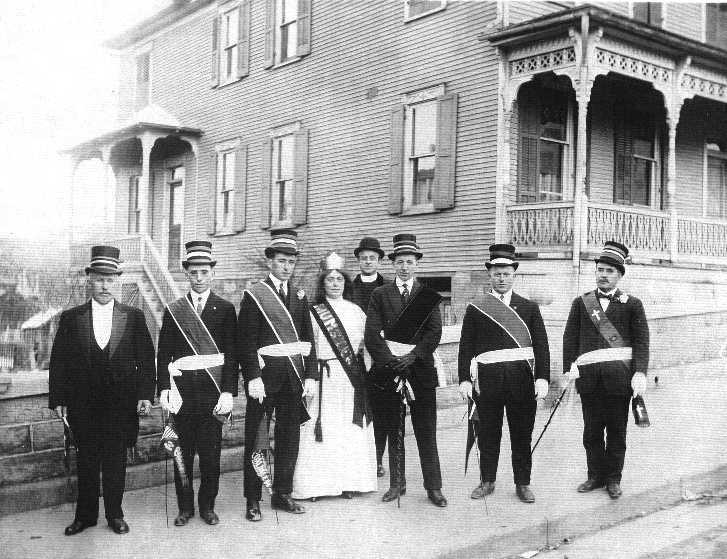 There is a priest pictured, and one of the men has a cross on his sash. We can perhaps infer that it was probably a group shot of a larger gathering. If there was a woman representing Munster, it seems likely that the other Irish Provinces were represented for the occasion. The landscape to the rear appears leafless. Perhaps the occasion was St. Patrick's Day. If anyone has any additional information about the men in the photo, send it along. Thanks. The actor and author Malachy McCourt tells a story of driving in Ireland in a pouring rain and picking up a stranger on the side of the road. Glad to be out of the deluge, the stranger thanked Malachy "may you have a happy death." Malachy initially could not make sense of this seemingly odd reply. The more he thought about it he realized a happy death is the direct result of a fulfilled and joyful life. The human condition is 100% mortal. How many of us plan and think of the inevitable and live our lives accordingly. Father John Hilferty strikes a similar chord in one of his sermons. He extols his flock to live every day as if it were your last, as no one knows when that last day will be. New found gusto for life, relationships, fulfillment, will be yours by living your life as if. My grandfather Michael Clement O’Hanrahan was born in 1888 in County Clare, Ireland. He emigrated to New York City in 1905. He came to America armed with his older sister Gertie McNamee's address, and soon found work. He later worked at the IRT Inwood subway repair yard in upper Manhattan. He married a girl from his hometown, Agnes Lahiff, and raised five children. Now, I only knew Pop in his retirement, as he retired about the year I was born. Pop being a gentleman, dressed every day for his retirement, white shirt and tie, except in the summer when he wore a short sleeve white shirt with an open collar. He smoked Camels and drank Ballantine beer. When his doctor told him he had to give up one or the other, the Camels were sent packing. 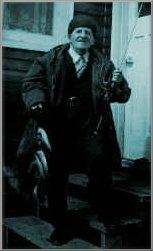 His favorite pastime was fishing and crabbing the Hudson River in the days when it was really good and polluted. His favorite prey were Hudson River eels. He would catch ‘em and fry ‘em to the vexing consternation of Agnes. There were days when he would ply the waters of the Spuyten Deivil, when we would take the subway to the Bronx. He being a retired subway man, rode free. He would tell the token clerk that my brothers and myself were poor orphans. He plied this ‘orphan” story as well as he fished for eel, letting the sob story line run, and then hooking his prey, he had the token clerk sold that these poor ‘orphans’ should ride for free. Worked like a charm every time. Pop regaled the grandkids with countless stories. He drew pictures of prize fighters, the Cliffs of Moher, and Irish hares. He would show us his appendectomy scar and graphically tell us how he was bayoneted going over the top. He told a graphic story of a trolley accident with a man dying in his arms after he lit him a smoke. He told us rebel stories, and spoke of his childhood in Ireland, riding the train to the strand in Kilkee. He was a child in a family of fifteen children. He was most proud of his one sibling who did not emigrate, Alfie, who became a pharmacist and owned his own shop. He would longingly speak of the scattering of his siblings to the far corners of the world. He was proud of the education he did have. He would recite in French and Irish, and he would perform mathematical tricks. He had a routine where he would perform a trick he called a ‘googally’. He would feign a trance and go into a wild contortion, conjuring up a small toy for us. We were amazed. When we cried for more, he acted as if he could not possibly physically recover from a second googaly. He would play with Agnes, purposefully to get a rise out of her. He would ask me questions like “did you take the pledge” or “do you think you will ever go back?” Agnes would smack him with a dish towel. The second question was one that he and his immigrant friends probably often asked themselves, will I ever go back to my hometown, to see my friends and family. Pop never made it back, but he passed the hope on to me, and yes Pop, I did make it back. I am a firm believer that if you live your life well, make a difference in someone elses life, especially a childs, you achieve a certain type of immortality. Pop was a good AOH man. He was active in local Democratic politics. He loved his Church and his family. He died peacefully at the age of 88. He lives on in my heart.